In order to be more effective in measuring your results, you have to set up a goal for your paid search ads, whether your PPC is aimed at direct your visitors to sign-up for a newsletter, or buy a product… In addition, you should have a clear vision in mind of whether your major goal is just to increase awareness or boost conversions. If it is the first case, so you should only pay attention to the number of click-throughs, but overall, the most critical part is about increasing sales in which case you have to carefully see your conversion rates. Some keywords have high click through rates but low conversions and that is because your visitors are interested to collect information but don’t care about purchasing your product. Marketers allocate a specific budget for each click resulted from a visitor. For example advertisers pay a cost of $1 every time a customer makes one click on an ad and expect $10 revenue for each click, but the thing is to apply the budget on these number of clicks not on the number of times or impressions your ad is displayed. Make a list of potential keywords that your visitors might mostly click to reach your page, so that way you optimize your PPC ad. You can also complete your final keywords you are willing to write through google keyword planner. Always keep in mind that you should focus on the keywords that are mostly related to your company’s image and reflect the content of your website. Your PPC ad headline is the one that appears in search results and shown as a link in blue. Since your headline represents the ad you are offering, it should be done in an effective way to attract your customers to click. For example, it should contain up to 4 or 5 words with the major keywords that customers might search for and straight to the topic. Conduct various testing such as A/B testing, or multi-variant testing experiments to test which landing page converts the best. Try testing different elements of the landing page such as adjusting your headline, body text or the keywords and find out which one is making the biggest difference to improve your conversions. In addition, call to action buttons play a significant role in generating leads, therefore you must think of designing them the best way and locate them in the right position. Your body text is the same as the meta description that appears in organic search results, so it should include an explanation of what your ad is mainly about, thus your viewers get to click and see it. Always be clear in the advertising features and the benefit you are going to deliver to your customer in your PPC Ad. One of the biggest mistakes some marketers do is that they present an ad which is completely different from the expected one that they have already promised their visitors before. As it was said earlier, it is not enough to obtain high click-through rates but also gaining significant conversions. As a result, focus on having a strong compelling ad copy along with an optimizing landing page. Ensure a daily tracking of the performance results of your PPC ad and check out if you are generating the return on investment that goes in line with your advertising plan. 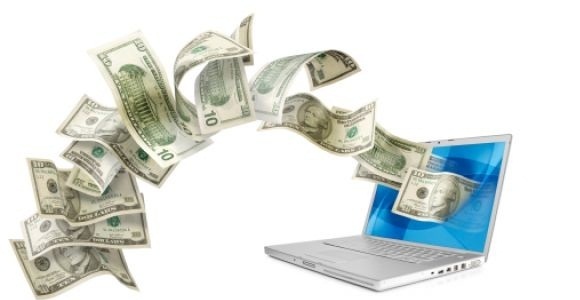 That way you compensate every dollar spent on your pay per click campaign.